You’ve got a great design, and your site exudes professionalism. That’s a great start. But trust me—it’s not enough. Many websites are making a great presentation, but they’re missing out on a critical factor to convert more visitors into customers: engagement. Engagement is getting your visitors to actually do something while on your site. Engagement helps your visitors commit to moving forward—with a sale. I’ve been thinking a lot about engagement recently, particularly after having a discussion with the Chief Conversion Officer at Super Fast Funding. We talked about his new site re-design. The difference in how they increased opportunities for visitor engagement was stunning. Take a look at their original home page. The first critical mistake here is that the headline asks visitors, “Are you fundable?” Since many may believe they aren’t, this creates instant disengagement—the exact opposite of what you want. The happy cartoon character seems to be trying to engage us by pointing to some documents. But since those documents aren’t even legible, it’s a useless attempt. Now take a look at the newly designed home page. The difference is amazing. The new headline doesn’t create potential for disengagement, but rather creates a sense of hope—and quickly. Rather than just display a phone number, they’ve preceded it with the word “Questions?” to invoke a phone call. They’ve added live chat, which ranks neck and neck with phone when it comes to what visitors prefer. They’ve added a blog, and they’ve added a video thumbnail. But what really drew my attention was the interactive slider bar that was added. Frankly, it’s hard to resist not playing around with it. 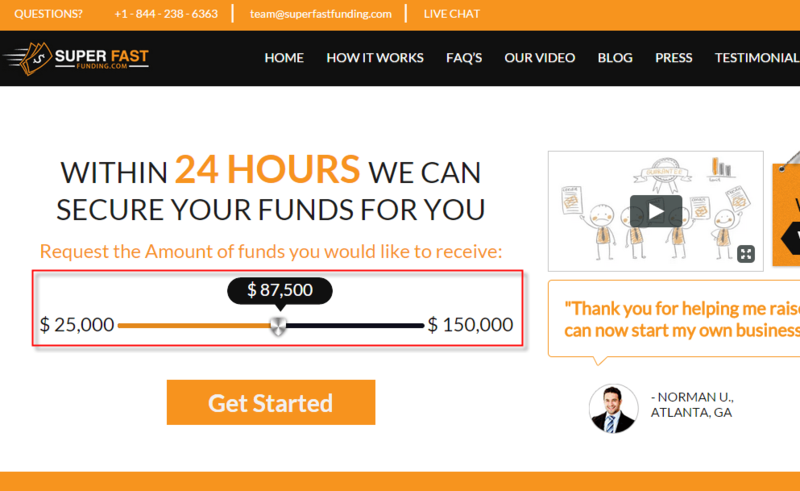 What they did by adding this slider bar was eliminate a potential “No” response to their “Are you fundable?” question and replace it with power and control. Once you’ve eliminated anxiety by giving your visitors a sense of power and control, you’re one step closer to moving them through your sales funnel. Are you beginning to see why engagement is so important? 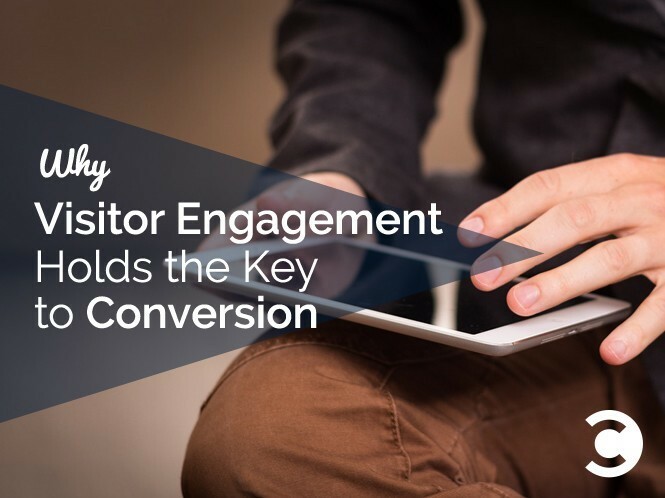 Here’s another way to increase visitor engagement by actually engaging with your visitors. Have you ever been in a brick and mortar store and needed assistance with your transaction from beginning to end, without which there would have been no transaction? Customer service agent screen sharing is one way to really help customers out when they need a hand. One of the nation’s leading health insurance organizations recently implemented LiveLOOK into their customer service strategy. With the ability to get onto visitors’ screens and assist them, call handling times were reduced from an hour to 7–10 minutes on average. Agents reported that this reduction lead to far less visitor frustration and an increased sense of customer loyalty. This brilliant method of customer service not only increased customer satisfaction, but it also lead to an 85% reduction in resources. Surveys: Did you know that a survey conducted by Georgia Regents University revealed that 40% of participants would save their dog’s life before they’d save the life of a foreigner? And that number is 45% among women. Who would have ever known if the question had not been asked? This is why it’s vital to get an understanding of exactly what is going on in your visitor’s heads. When you compile survey questions, be sure to ask open-ended questions that will elicit more information than just a “yes” or “no” response. Offering an incentive is one way to get more visitors to participate. Exit Polls: These are similar to surveys, but they’re usually presented as visitors are leaving a site, typically to find out any objection a visitor might have and what’s preventing them from moving forward with a transaction. 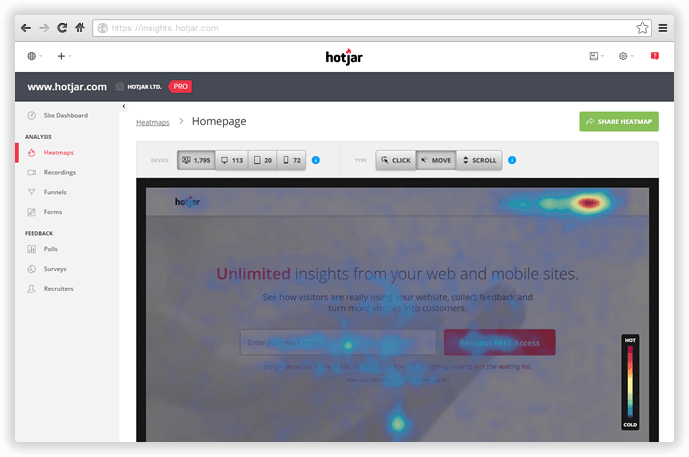 Heat Mapping: With the visual representation of heat maps, you can see firsthand where visitors are clicking,where they’re not, and how far down the page they are actually scrolling. It’s a good way to get insight for future changes. If visitors are clicking on an area that’s not clickable, it provides the insight to put a clickable item there. Or, if visitors aren’t clicking on an area, maybe something else should be put in its place. Visitor Playback Sessions: Visitor playback sessions amp it up a step further by providing video of every movement visitors make while on your site. You can watch exactly where their mouse cursor moves, were they stop, where they click, and where they scroll. User Tester Recruitment: Jakob Nielsen states that five user tests will uncover 85% of your site’s usability issues. 15 tests will reveal all of them . I like to watch user tests last, after an analysis. It’s a way to make sure I know what I’m talking about, and I don’t want to be biased by what the user test reveals by watching it first. It’s also a way to look over the shoulders of your visitors and see exactly where they are getting stuck and having issues. Form & Funnel Analysis: It can be pretty difficult knowing at what point visitors are dropping out from your forms and funnels. A form and funnel analysis will help you quickly ascertain those drop out points. It’s probably much clearer to you now just how important visitor engagement really is. You can have a site that looks great, or you can create a site that is truly interactive and engages your visitors, pulling them deeper into your funnel. Engagement gets those neurons going in the brain. If you can make that happen, you’re more likely to get visitors to commit to getting to the very end of your funnel. Marie Dean is the Innovation Director at ConversionLifters and has been an expert in the field of conversion optimization for 12 years. She helps clients improve their website conversions, increase revenue, lower acquisition costs and capture more of the market share through in-depth website analysis.